NLRB Archives - Page 3 of 31 - CUE, Inc. Per a report via POLITICO, Peter Robb is wasting no time in pursuing a review of prior Board cases dealing with mandatory arbitration. Just yesterday, the NLRB said it is “committed to expeditiously resolving” cases affected by the Supreme Court’s ruling today upholding employment contracts that bar class action lawsuits. 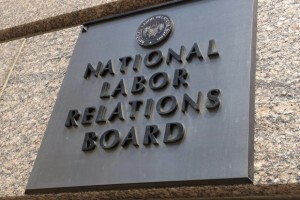 Since 2012, the NLRB has taken the position that it’s illegal for a business to require as a condition of employment that workers waive their legal right to participate in class action lawsuits against the company. Such mandatory arbitration clauses, the NLRB said, violated employees’ right to “concerted action” under the 1935 National Labor Relations Act. Today, however, the NLRB said it “respects the court’s decision” allowing mandatory arbitration. “With today’s decision by the Supreme Court, employers are permitted to maintain and enforce such class-action waiver agreements,” the NLRB said in a statement. Justice Neil Gorsuch wrote the 5-4 ruling on a trio of cases, one of which — NLRB v. Murphy Oil USA, Inc. — involved the agency. There are currently 55 pending cases before the NLRB in which employees allege employers violated federal labor law by enforcing mandatory arbitration agreements concerning class action or other types of collective legal action. The NLRB’s Office of General Counsel filed a motion today asking the D.C. 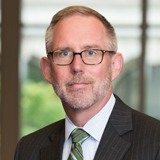 Circuit Court to send back for review a mandatory arbitration case in light of a Supreme Court decision yesterday that affirmed employers may bar workers from participating in class action lawsuits against them. In 2015, the NLRB said Toyota Sunnyvale violated labor law by enforcing a mandatory arbitration agreement that barred its employees from “concertedly pursuing work-related claims” in court. From 2012 until yesterday, the NLRB took the position that mandatory arbitration agreements barring class-action suits violated the 1935 National Labor Relations Act. Toyota Sunnyvale appealed the 2015 ruling in federal court, and yesterday’s Supreme Court decision invalidated it. “The board acknowledges that under that decision, the decision and order in this [NLRB] case is no longer enforceable,” wrote Linda Dreeben, deputy associate general counsel. After yesterday’s ruling, the NLRB said it is “committed to expeditiously resolving” cases affected by it. Some 55 cases are currently pending before the board in which employees allege that mandatory arbitration agreements barring class-action suits violated labor law.